Repre­sen­ta­tives from the leading engineering and procurement companies for the global gas industry are excitedly looking forward to attending Gastech 2015 in Singapore this month. The global event, which will welcome thousands of industry professionals from the oil & gas sectors, is the ideal platform for us to showcase our newly-developed collection of metal jacketing solutions. Gatech 2015 will take place at the Singapore EXPO from the 27th-30th October, during which time there will be a number of keynote speeches, presentations and seminars, along with a host of networking oppor­tuni­ties. Mark Almond and Brian Shaw MD will once again be representing BS Stainless and we are extremely proud to be joined this year by Kashif Mohammad, who joined us in 2012 after an extremely-successful Knowledge Transfer Partnership project and has played a vital role in the development of our new metal jacketing materials. Kashif beat off much stiff competition to gain a much-coveted place in the GYEF (Gastech Young Engineer Foundation), where he will receive further expert support in his continuing professional development. The Gastech Conference & Exhibition acts as a launch pad, allowing us to further propel our innovative and effective products around the globe. It is ideal for creating opportunities to meet with existing clients and project engineers as well as forming new professional connections - nothing can compare to the simple fact of all being in the same space at the same time. 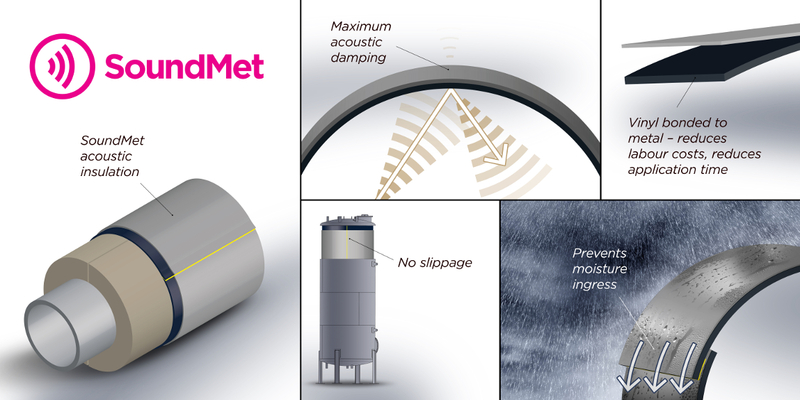 A major part of our showcase will involve SoundMet, which represents a revolution in metal jacketing techniques. 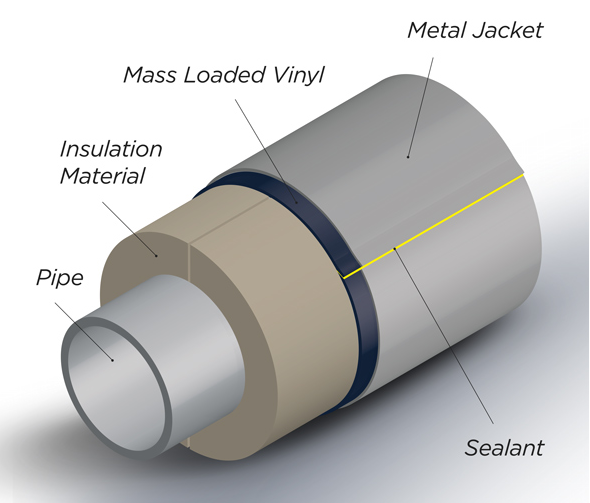 Currently, the process of installing metal jacketing insulation involves first insulating the pipe and then wrapping this in mass loaded vinyl (MLV). This must then be further encased in stainless steel cladding before being tightly secured with wing seals and stainless steel banding. The two final steps of that three-step process are made as one with SoundMet, swiftly and decisively cutting installation time in half - particularly useful when installers are charging by the hour. As there is no metal-to-metal contact, producing an exceptionally strong seal proven in pull-out tests, galvanic corrosion under insulation is not an issue and the material is also effective at damping vibration and sound. We have invested in a new and improved production capacity to meet the expected sharp rise in demand for SoundMet following Gastech 2015. This is linked to a 2-year project with Sheffield Hallam University, experts from which were our partners in creating the revolutionary metal jacketing material. Follow us on social media for all the latest updates from Gastech 2015.